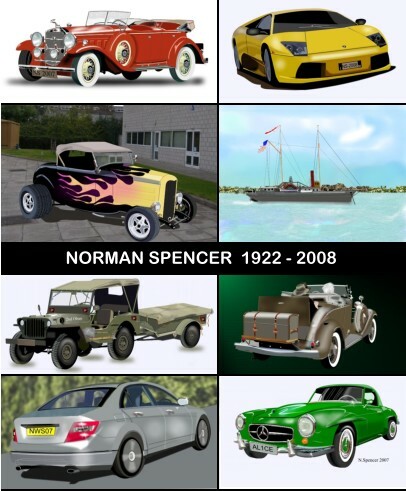 Our Inspirational artist is Norman Spencer, whose prolific postings in TalkGraphics in his retirement years inspired many other TalkGraphics regulars to greater things and happier thoughts! 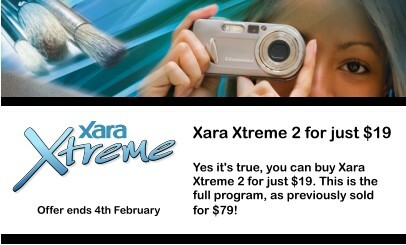 If you've hesitated to try your hand at digital art, or Xara Xtreme, then this month's offer is for you: Xara Xtreme V2, for a mere $19 USD (previously sold for $79). It's the first time we've made an offer on this older version, and the perfect opportunity for waverers to get on the Xtreme ladder. More details below, offer ends 4th February. If you've ever wondered how to make text flow along a curve or around a sphere (and in fact it is a frequently asked question), then check out this month's tutorial. This month we're celebrating the work of Norman Spencer, aka 'Parahandy' on TalkGraphics, who sadly died in November. Norman was the most prolific poster we've yet seen on TalkGraphics and we hope we've been able to compile a selection that does justice to the skill, imagination, variety and humor of his work. It's the last month of our quarterly contest on the 'Christmas' theme. Don't delay, you only have until 15th February 09 to submit your entries. 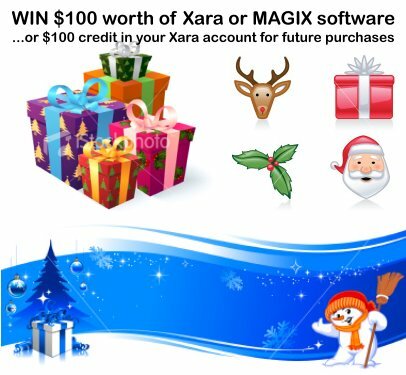 The prize remains Outsider Glory, $100 of Xara or Magix software of your choice or a $100 credit to your Xara account. Follow this link to a selection of great iStockphoto drawings like the ones above to maybe start your own creative path. iStockphoto Ideas. The Xara Xone has had its usual January makeover. Check out the new design by Gary Priester at xaraxone.com. If you like that look, don't miss the January Xara Xone tutorial in which Gary shows you how he created it. And you'll find a discussion about it in this TalkGraphics Thread. If you've not visited the Xara Xone recently then you're missing a treat - it's packed with Xara tutorials by Gary, Guest Tutorials, Tips and a Featured Xara Artist of the Month going back 10 years! Customers in the UK will be pleased to see that Xara Xtreme /Xtreme Pro can now be purchased in a new sterling shop on xara.com (at last!). "Xara Xtreme is a top-notch graphics tool, no matter what your level of graphics experience. With its amazing speed, small size, reasonable system requirements, moderate price, and powerful feature set, it's hard to go wrong with Xara Xtreme." If you're in the Text tool, simply pressing Escape will select the whole of the current text object - great if you're wanting to quickly change font or color for the whole text, and easier than doing a Ctrl+A. A double click on a word selects the word, triple click selects the line, four clicks select the whole paragraph. Did you realize that many of the tools can be selected with a single key press? Hit T and it selects the Text tool (well, unless you're already in the Text tool...). Hover over the Tool icons to see their shortcuts. When you drag out a straight line column marker in the Text tool, if you hold Shift down when dragging on the end marker you can rotate the line, and thus the column of text. Do you read print computer magazines - the 'real' ones on the shelves? Bob Hahn shows you how he creates shiny buttons in Xara Xtreme - and there's some further discussion about the movie in this TalkGraphics thread.